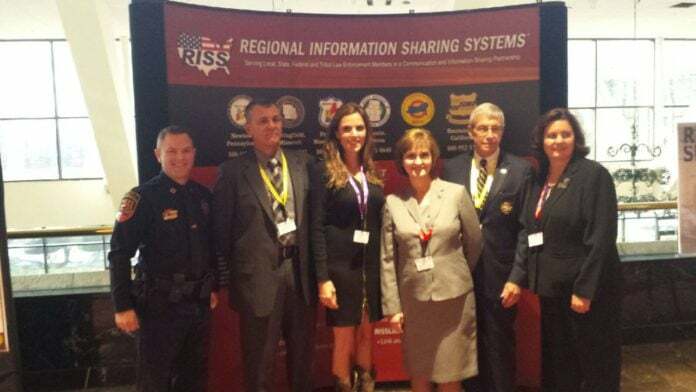 Captain Vincent-Addison PD, Chief Costa-Desoto PD, Taya Kyle, Director Donna Williams-ROCIC, Chairman Tommy Loving-ROCIC, Training Coordinator Cindy Purviance-ROCIC. DESOTO—The Desoto Police Department is involved in many innovative solutions to help combat crime in the Dallas area. 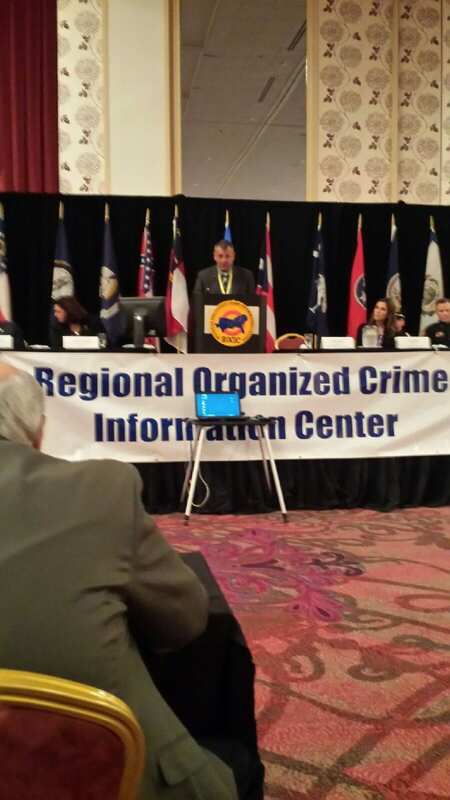 This week, the department co-hosted the Regional Organized Crime Intelligence Center’s 25th Homicide Conference in Addison, Texas. The Desoto Police Department co-hosted the event with the Dallas County Sheriff’s Association. It’s an organization DeSoto Police Chief Joe Costa is familiar with. Before Costa came to DeSoto in 2012, he worked for the Dallas County Sheriff’s Department for seven years. DeSoto Police Department Public Information Sgt. Nic Bristow said Costa has been on the Executive Board and volunteered to host the event with the Dallas County Sheriff’s Association for the past 15 years. Chief Costa offers remarks on Monday. Bristow said the conference lasts four days and there are 25 homicide investigation workshops to take part in during that time. Some topics include a discussion on the San Bernardino shooting, profiling the cold case, honor killings and using technology to persuasively prepare and present a homicide case, to name a few. “This is also a training event for officers in [the] 14 state region,” Bristow explained. During Opening Ceremonies on Monday the DeSoto Police Department Honor Guard presented the colors, DeSoto Police Department Chaplain, Genette Wheeler said the opening prayer, Dallas County Sheriff’s Deputy Tim Allman sang the National Anthem and Taya Kyle wife of Navy Seal Chris Kyle delivered the opening remarks. On Wednesday Oct 12, 2016 at 9 a.m. Toni Brinker Pickens will be the featured speaker discussing her community policing initiative, “Operation Blue Shield”. Pickens is the wife of T Boone Pickens. Operation Blue Shield, is an organization designed to bring about progressive change, trust and national unity that communities and law enforcement need. “The DeSoto Police Department is extremely excited to co-host this event as approximately 500 law enforcement officers, from across the nation, will be in attendance,” Bristow concluded.